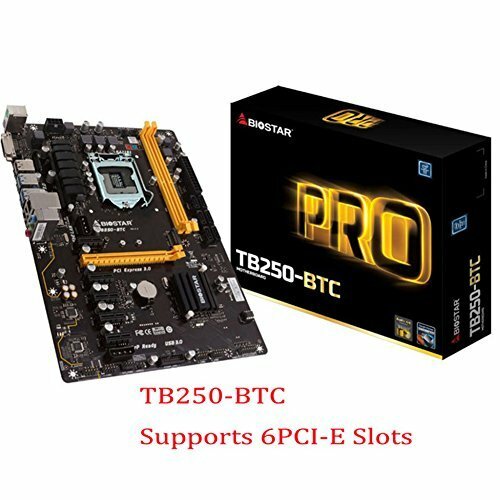 TB250-BTC , exclusive equipped with 6 PCI-E slot, fully support the popular NVIDIA and AMD graphics card mining. effectively preventing the connection of the adapter and the motherboard's daughter card, due to the arrangement is too tight, resulting in short-circuit current interference And out of the card phenomenon. If you have any questions about this product by Biostar, contact us by completing and submitting the form below. If you are looking for a specif part number, please include it with your message.